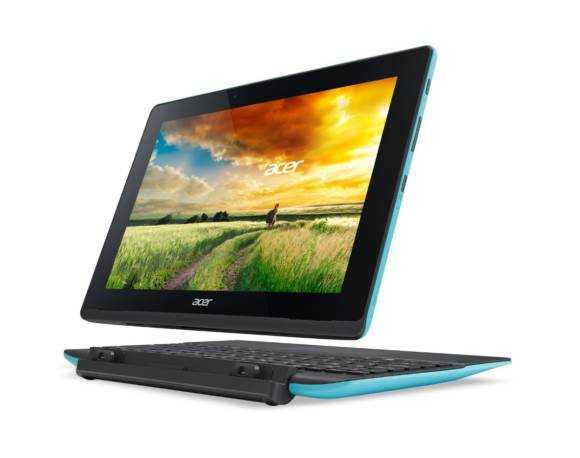 News Comments Off on Deal: Acer Switch 10E is just $239 in US. The best travel PC is lightweight, productive, connected and needs to be efficient, relatively rugged and easy to charge. If you’re looking for a travel, adventure, camping, hiking or off-the-grid PC, you’ll need to read this post. The requirements for a travel PC aren’t difficult to meet but there’s a lot to consider. Travelers are mostly concerned with blogs, emails, image editing, social networking, flexible connectivity and maybe a bit of video editing and a lot of this can be done on a phone or tablet but if you want to get some extended writing, image management or basic video editing done efficiently you still need that keyboard and trackpad in the classic table-top clamshell format. Getting the format right is half the challenge with a travel PC but you’ll also need to think about your charging options, budget and a few other important aspects. Let’s assume that travelers will have a smartphone and that the PC solution won’t be used for photography, location services (maps, check-in, navigation) or always-on services like WhatsApp, Facebook Chat and Skype. As for power and connectivity I’m going to assume the worst – 48 hours without charging and no WiFi connectivity. In reality most are going to come across mains power and a WiFi hotspot without problems but let’s assume your out in the wild somewhere. If you want to see the proposed solutions, scroll down for my top 6 travel PC choices. Price is not only a personal budget issue but an issue where there’s a risk of loss or theft. Travelling is a sure way to reduce physical security and although you might be insured, you’ll need to buy a replacement before you get any insurance money. The good news is that you can buy a mobile 2-in-1 solution for under $300. (LTE-capable solutions are well under €400 in Europe.) There are two reasons you might want to spend a bit more than $300. The first is storage. 64 GB systems aren’t that expensive (add around $50) but high-speed 128 GB SSD solutions start at around $500. The second reason is processing power and that’s something you might be interested in if you’re going to edit full HD videos. It is possible to do that on a low-end solution but you’ll need to choose the right application, manage your storage and have patience. If you can drop to 1280 x 720 for videos (fine for most people on YouTube, Facebook) then it makes it a little easier on the PC. Remember that full HD videos will take a long time to upload and will use a lot of data. Budget limit: $500 including taxes. 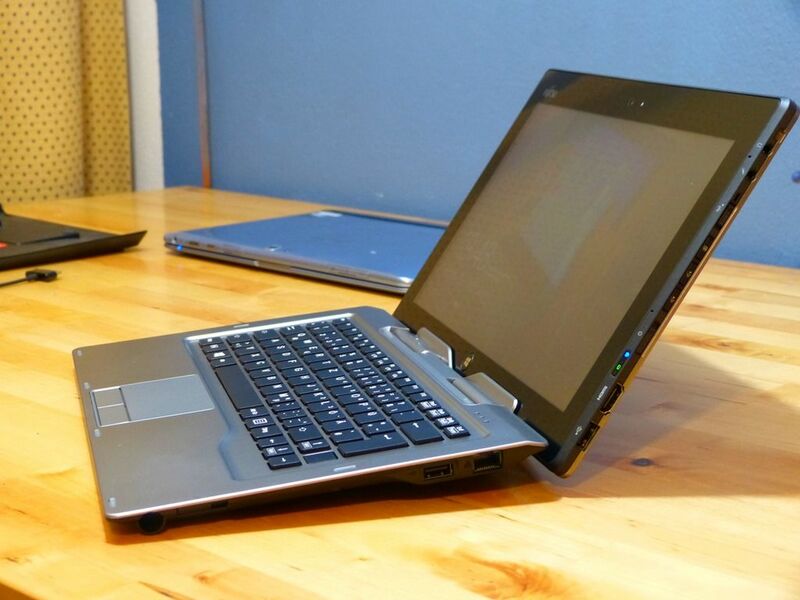 Form-factor: Given that we want a tabletop or lap solution with a solid keyboard and adjustable screen angle we’re restricted to laptops or 2-in-1 PCs with an adjustable hinge. 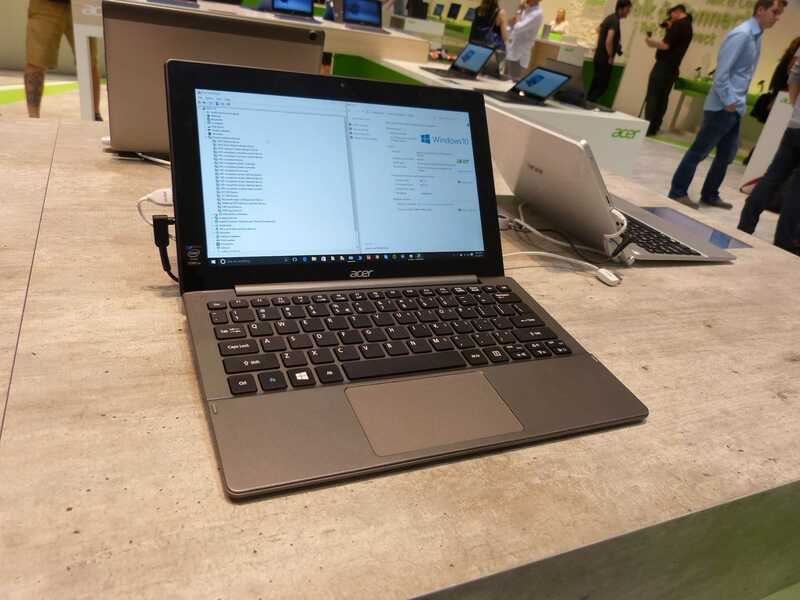 2-in-1 PC solutions have grown to be popular in recent years and their mobile focus means there are some interesting options available with LTE, GPS and very small volume and weight. They also come with touchscreens which can be handy when in lay-back mode. Separate tablets with Bluetooth keyboards aren’t recommended because of dead batteries, lack of screen protection, separate tablet stand and set-up time but if you think you can organize yourself around that then you’ll find more options. Think single-unit, single battery for the best experience. Operating System: In order to be as flexible as possible with on and offline working , local media management (photos, video) and flexible connectivity the Windows operating system is recommended and is the main focus for the solutions listed below. Android is an option in the price bracket but you won’t find many suitable Android solutions with the right form-factor. Chromebooks aren’t good for travelling due to limited image management, offline video editing and limited offline app experience. The iPad can be considered if you’re already in that ecosystem but there are limits with connectivity that might catch you out if you’re looking to transfer images or edit video from another device. Apple laptops fall outside our $500 budget. Size and Weight: Under 1.4 KG total. Target: 1 KG (2.2 pounds.) The weight should include long battery life, keyboard and flexible connectivity options. The screen should be 9-inches or more in size and the resolution can be 1200 x 800 or more. Lower resolutions are usually more efficient on battery but larger resolutions provide more flexibility with multiple application windows. 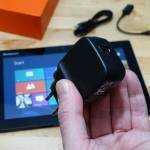 Charging: A huge advantage for travelers has been the introduction of micro-USB charging on PCs. It brings a choice of hundreds of power packs and solar solutions that can directly charge the PC. The power-packs are generally small and cheap and replacements are easily available. USB charging in PCs often supports multiple levels of charging speed so trickle charging could help to squeeze the last from a USB power pack. Micro USB charging and good quality USB power pack with more than 2A output capability is highly recommended. With the right solution you’ll be able to use the travel PC for 20+ hours without a charge which can take you through 2 days or more. Storage: The storage size on the PC depends on your media creation style. If you’re planning to offload 60 FPS full-HD videos onto the PC then you’ll need 128 GB storage or more but remember that you can get that in low-cost USB-connected SSD drives and SD cards. You can also consider online storage for when you have enough data connectivity available. Low-cost Windows solutions often come with 32 GB of storage which is enough to get you going but can get tight after app installations, updates and other downloads. Windows 8.1 (and Windows 10) will allow you to use an SD card for storage so if you want to keep your costs down then go for this route. Note that Windows 10 upgrades will reduce available disk storage. Clean up old files and always disable OneDrive folder synchronization to preserve space. Internet Connectivity will depend on the availability of public WiFi, security and privacy requirements. In some countries, such as Germany, it’s difficult to find free public WiFi. In others it’s not. The quality and security of the connections may vary though so unless you’re planning to travel through multiple countries in a day, 3G/4G connectivity is a must. 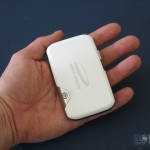 The cellular modem doesn’t need to be on the travel PC but it can be helpful if it is because you can buy a local SIM card for data and continue to use your smartphone SIM for voice / SMS connectivity. A 3G/4G battery-powered router is also an option and can be an advantage in low-quality reception areas as it can be positioned outdoors while used over WiFi indoors. The disadvantage is that you’re using both WiFi and cellular data which increases power usage. Processor: Given the important need for micro USB charging there’s a big limitation when it comes to processor choice, at least on PCs. 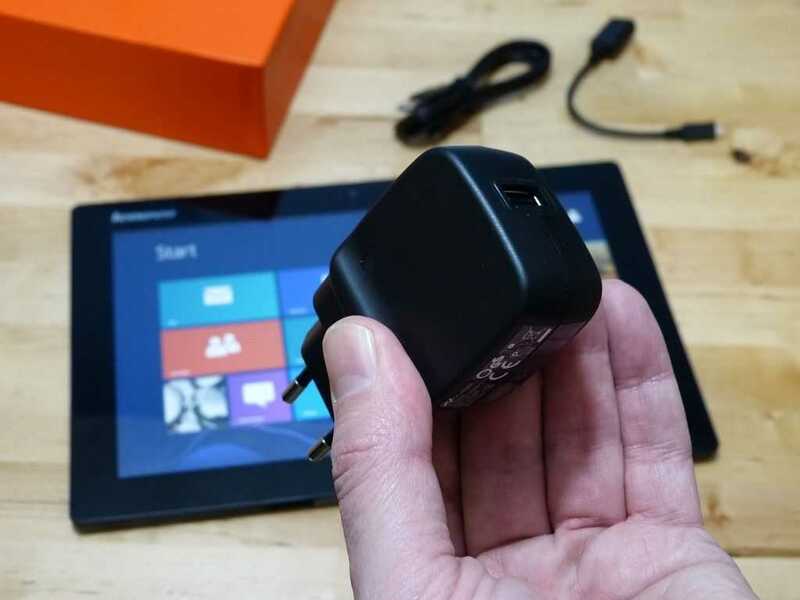 In general, the only PCs that include micro USB charging are based around an Intel Atom Z3000-series, X5 or X7 series CPU. Fortunately there is enough processing power in this processor range for all the document, social media, image editing and even video editing that most people need to do. It won’t be desktop-PC-fast and it won’t support a vast amount of multi-tasking but it will be enough and it’s a trade-off that has to be made when travelling. In the future we should see Core M-based solutions that will have USB-C connections. The new Acer Aspire Switch 11V comes close. Security: Low cost Windows solutions have a lot of security options but they need to be set up well before starting. 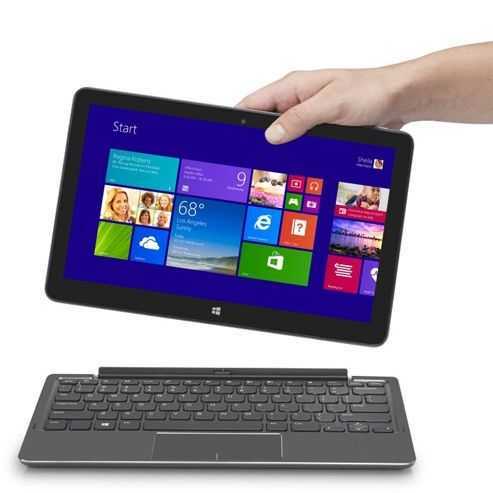 Ideally you’ll have a Windows solution with free Bitlocker file encryption but some of the very low-cost Windows 8 tablet solutions don’t have this so be careful if you want to store sensitive data. Enable SeucureBoot and enable the BIOS boot password as a minimum. 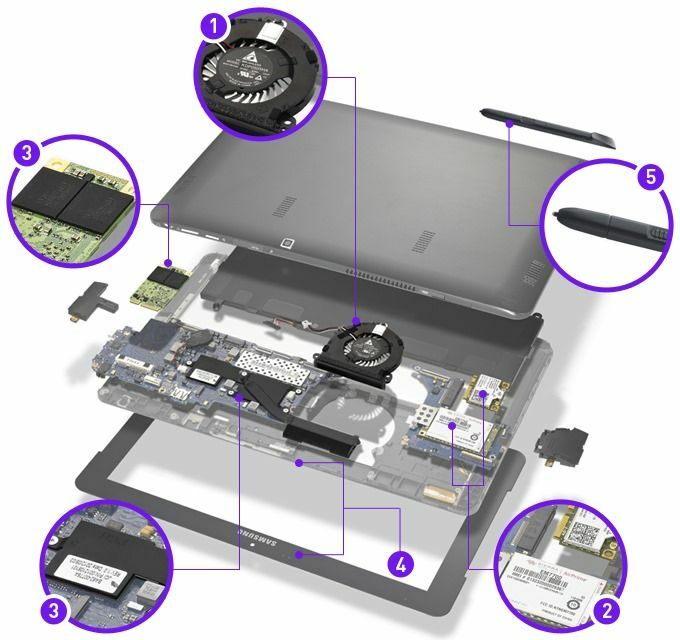 The Acer Aspire Switch 10 (2014) was considered but the battery capacity on it is so low (22 Wh) that it’s probably not worth considering. 3G and Full HD versions could be available at very low-cost though so if you see an offer, it might be worth it. For an interactive, more detailed list, click here. The Lenovo Yoga Tablet 2 10 has an interesting design because the keyboard is wireless which enables some interesting usage scenarios. For example, the keyboard on the lap and the tablet positioned nearer the eyes. 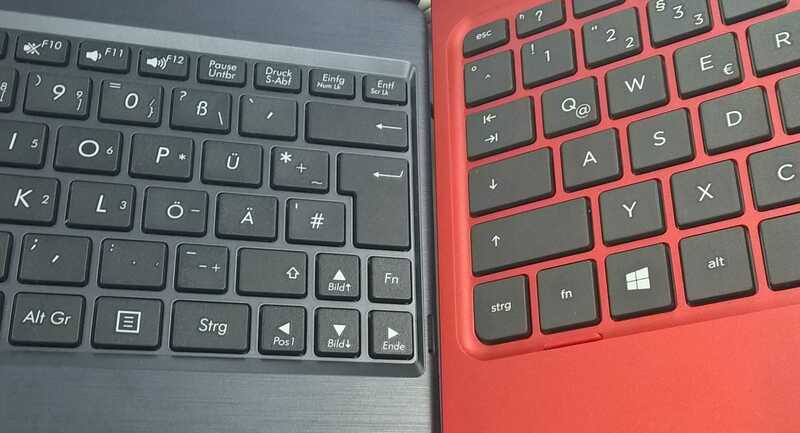 I’ve used this setup on the Asus Switch 12 and it’s really useful but beware that the keyboard needs to be charged separately but the charge should last for 2 months. Having a separate Bluetooth keyboard could be handy when traveling. 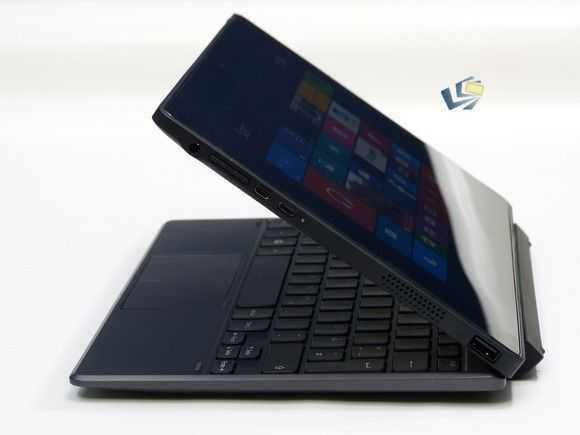 Pair it with a smartphone and you’ve got your self a tiny workstation for emergency use but the magnetic hinge design will need care and reviewers report that it can slip apart from the tablet. A case might be needed for the Lenovo Yoga Tablet 2. The 35.5 Wh battery is the biggest while the total weight is the lowest. As a tablet it’s going to be easy to hold in portrait mode because of the battery bulge. The CPU power is on the low end of the scale here and there’s a Full HD screen which offers more working space but takes more GPU power to drive. There’s a low-cost LTE-capable version of the Yoga Tablet 2 available which also includes GPS. That could be useful with the offline maps and navigation features in Windows 10 if you find yourself without a phone. 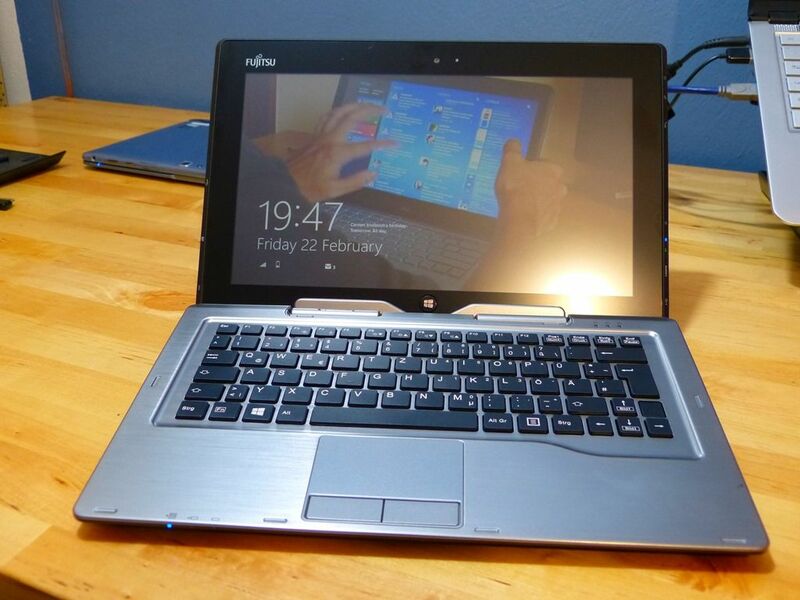 The low-cost Acer Aspire Switch 10E is impressive. [I reviewed it for another publication recently.] 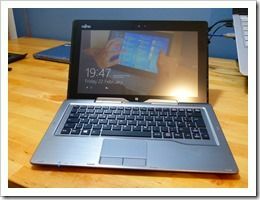 The keyboard and screen are good quality and it seems to be very efficient. The only disadvantage is the cheap plastic that it’s built from. It looks and feels cheap but it’s grippy and doesn’t show fingerprints however. For an interactive list, click here. Top 6 travel PCs by Chippy. The Acer Aspire Switch 10E is my current #1 choice. I’ve done extensive testing on it and found it to be great value for the money although the WiFi module is a little weak which won’t help in crowded hotspots or hotels. The keyboard is solid and the screen is great. Today at Amazon it on offer for just $239. Details here. If the ASUS Transformer Book T100HA was available I’d be adventurous and go for it because of the CPU, GPU and slight efficiency advantages of the new Atom X5 processor. Pricing isn’t known at the moment and there’s also a need for a few in-depth reviews. The USB-C port is a potential issue but it looks like there’s a separate micro USB port that’s used for charging. The HP Pavilion X2 10 falls down the list because it has a dedicated USB-C charger (USB -> USB-C charging might be possible with an adapter) and it hasn’t been reviewed yet. There’s a €279 offer on it in a shop just 2km from where I’m typing this so I’m tempted to go and pick one up. 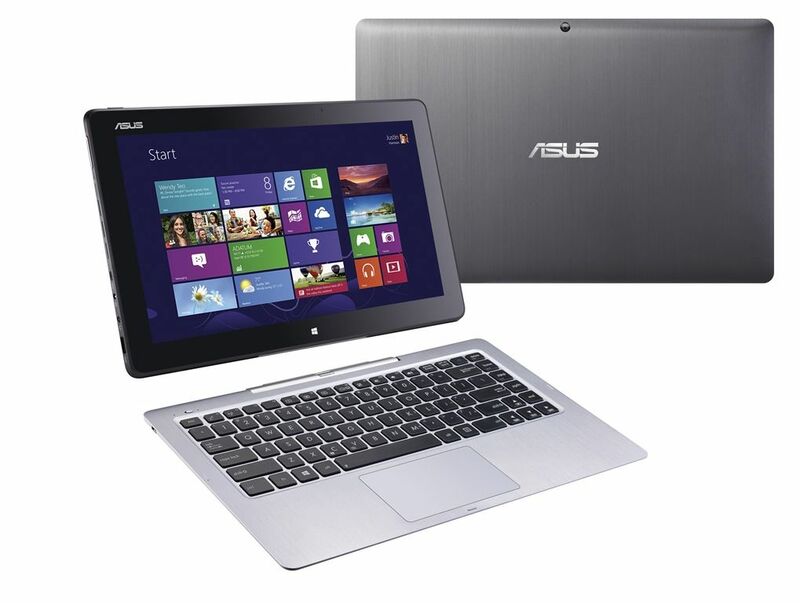 The ASUS Transformer T100 CHI is a strange beast. A high-resolution screen and high-end Z3775 CPU could help productivity and the design is sweet, but it’s expensive. Separate keyboard and tablet charging might be a problem although a single charge of the keyboard should last for a few weeks. At $499 the Surface 3 just gets in under the $500 budget limit, without a keyboard, which would take it up to about $600. The Surface 3 is a great travel PC with a high quality screen, high-end Atom X7 CPU and good battery life. It can be charged via micro USB and fulfills every need apart from price. Using the Surface 3 on a lap is a bit awkward but possible. The keyboard is backlit. 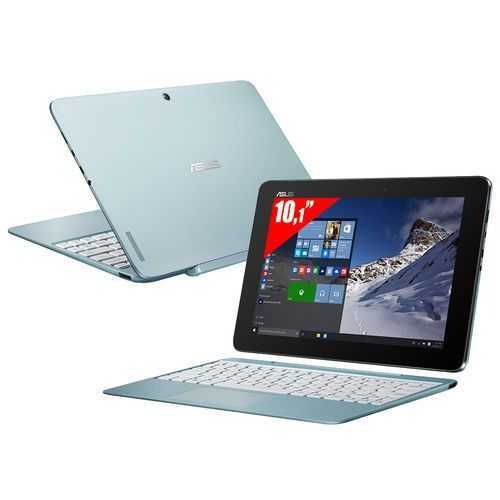 At double the price of an Acer Aspire Switch 10E it’s not great value but if you can stretch that far with your budget it’s the highest-quality choice out there and might be the best choice if you’re thinking of doing some video editing. You won’t find an Android 2-in-1 with a fixed-hinge keyboard for under $500. The interesting Xperia Z4 tablet (also available with LTE) is up above $600 with the keyboard and although the Lenovo Yoga 2 10 tablet with Android is cheap and light it doesn’t come with the keyboard. 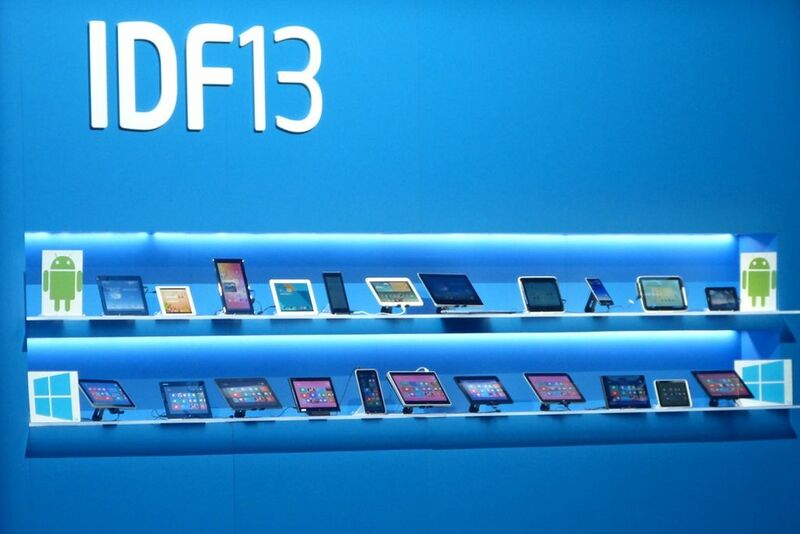 The outgoing ASUS Transformer Pad TF103C could be an option if you can find it. 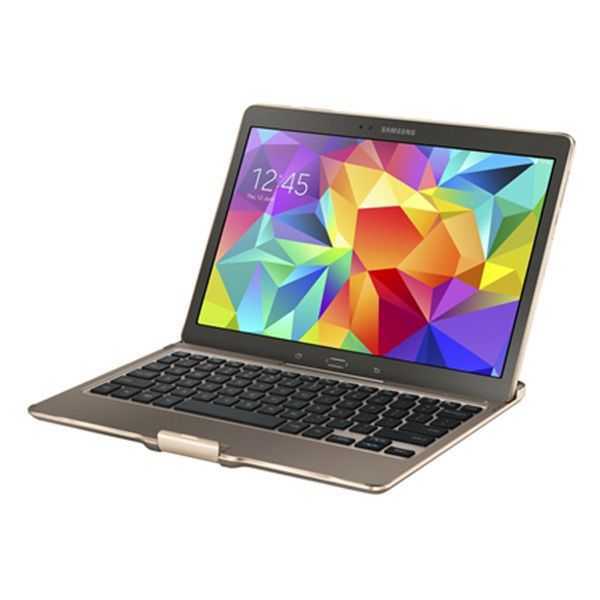 The Galaxy Note Pro 12-inch tablet is an interesting option with the optional Samsung keyboard case but like the Xperia Z4 tablet it comes in above our $500 budget. 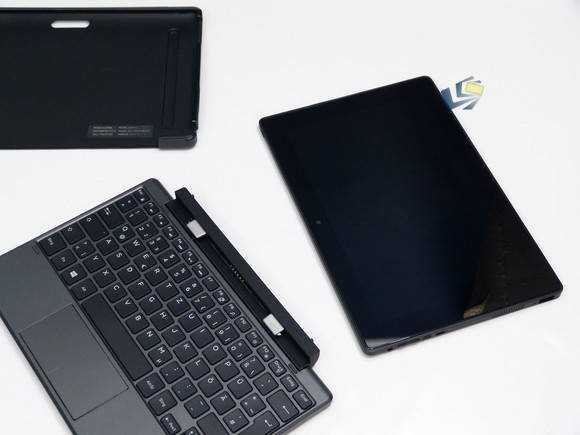 My pick of the Android options would be the Samsung Galaxy Tab S 10 with the dedicated Bluetooth keyboard dock/case which you should be able to pick up for around $400 The dock has a fixed-angle tablet stand but when I tested the solution briefly at IFA last year I was quite impressed. A full PC for $300 in under 1KG is impressive but what if you need to cut more from the weight and size? 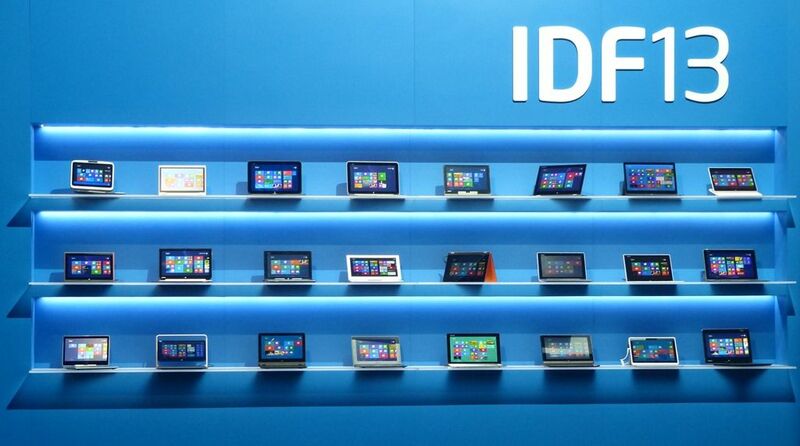 You’ll need to sacrifice screen size but it’s possible with a range of 8-inch Windows tablet PCs that are out there. One of the most interesting, and one that is available with hard cases, is the new HP Pro 8 608 with Bluetooth keyboard case. Forget ‘cheap’ with this but it’s really interesting solution that weighs around 500 grams (with keyboard case) and is one of the cheapest mobile solutions with WiFi AC. 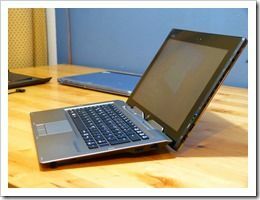 Also available if you can find it is an outgoing Lenovo Thinkpad 8 model. 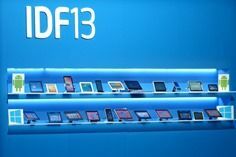 There are 50 or more low-cost Windows 8 tablet options available between $100 and $200 but a few stand out of the crowd. The HP Stream 8 comes with a cellular modem and free data for under $200 (also available with roaming data in Europe) but only has 1GB of RAM so you have to be really careful not to run too many apps at the same time. You can get a tailored keyboard case for it too but then you’ve just doubled the weight of the solution. If you’re happy with a folio case then products like the current HP Pavilion X2 10 (under 1KG with keyboard) and the Lenovo Mix 3 10 (very lightweight with folio case) are worth looking at. 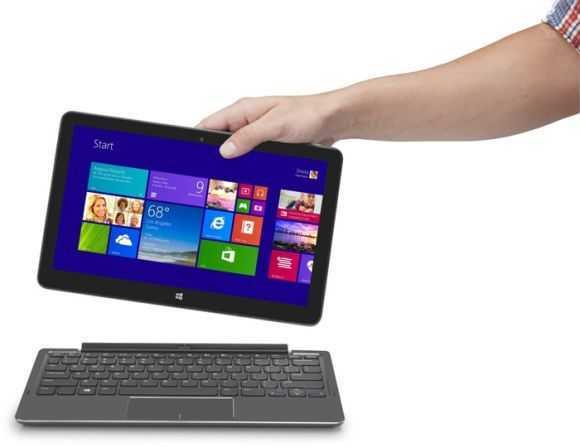 Latest Dell Venue 11 Pro brings it close to Surface 3. Comparison. An updated Dell Venue 11 Pro 5150 (5130 in some areas) with a high-end Atom CPU, 64 Bit Windows and Full HD screen has appeared. This is the closest I’ve seen to the Microsoft Surface 3. The high-end Atom CPU is the Z3795 which has Turbo Boost to 2.4 Ghz, just as the Surface 3 does and seeing as the Atom X7 and Z3000 series have similar per-clock CPU power there shouldn’t be much difference in CPU-related benchmarks (<10% based on reports so far.) The X7 will probably pull clear with GPU benchmarks. SSD speeds will be close and there’s even a USB 3.0 port on the Dell. That’s rare for products based on the Z3000-series. 64-bit Windows is important because it means the 64-bit bootloader is far more compatible with alternative Linux builds than the Z3xxx series products that only have 32-bit Windows bootloaders. 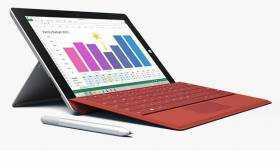 It’s available, with a slim keyboard, for $499 in the USA – the price of the Surface 3 tablet, without keyboard. There’s a similar product available in Europe which also works out cheaper than the Surface 3. Keyboard options on the Dell mean you can get a power-keyboard that is lap-able and includes an extra battery (for about 50% more battery life.) The keyboard weighs as much as the tablet though. 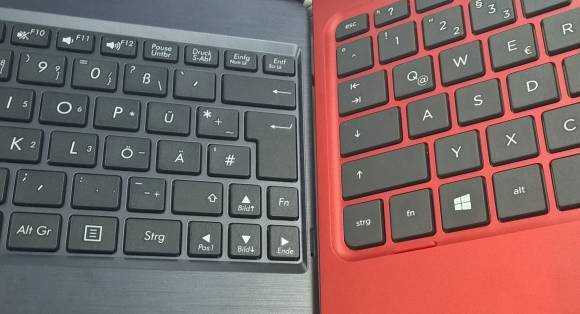 The Slim Keyboard option has a fixed angle and no backlight. It weighs 11 ounces taking the total weight of the product to about 2.2 pounds / 1 KG. A docking station option is available for both. A folio case is also available for the Dell. The stylus option for the Dell is cheaper than the stylus option for the Surface 3 but I can’t comment on pen performance as I haven’t tested the Dell stylus. 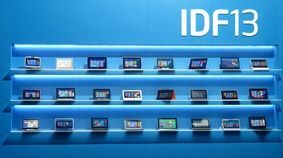 At 1.57 pounds 770 grams the Dell Venue 11 Pro 5000 tablet is much heavier than the Surface 3 and this could be the most important difference between the two. The Surface 3 tablet weighs just 1.37 pounds / 622 grams. You will notice this difference a lot when holding the tablet for long periods. The Dell Venue 11 Pro 5000 does not include a year of Office 365 / 1TB storage upload. The Surface 3 does. No AC Wifi on the Dell. AC Wifi on the Surface 3. Screen quality on the Dell 5130 was reported to be good. It should compete with the good screen quality on the Surface 3. Graphics performance on the Surface 3 will beat the Dell by an estimated 30-50%. The (removable) battery on the Dell is bigger than that in the Surface 3. (32 Wh vs 27 Wh) This explains a lot of the thickness and weight difference. Update: A summary comparison, including some benchmarks, is available Dell Venue 11 Pro vs Surface 3 comparison. 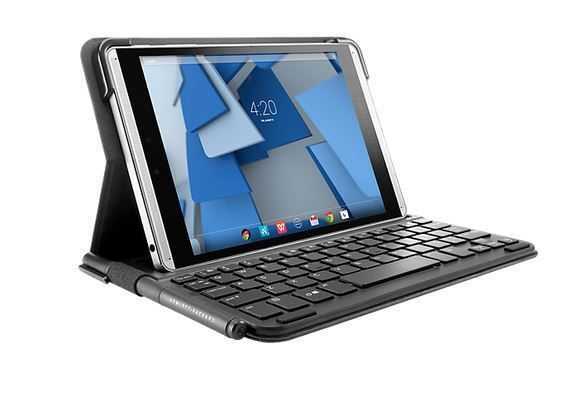 Dell Venue 11 Pro and keyboard. The difference between the Surface 3 and the Venue 11 Pro 5000 is minimal. 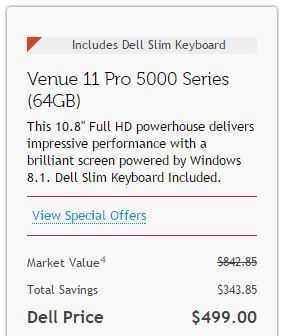 I like that there are 2 keyboard options on the Dell and at this point I lean towards the Dell as the better option. But that’s me, what are your thoughts? 3:2 vs 16:9 is a big discussion as is the tablet weight. 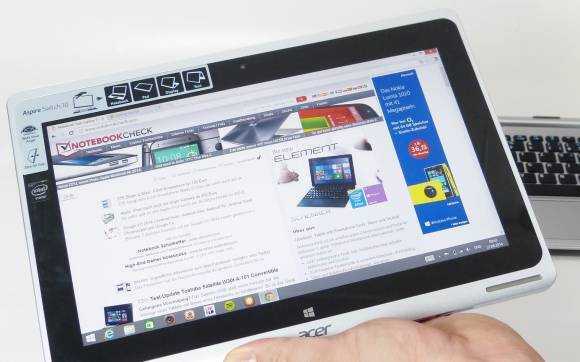 Acer have just launched updated Aspire Switch 10 dockable tablets with one starting at just $279. The high-end version has a full HD screen, digitizer pen support and gets a Gorilla Glass lid. 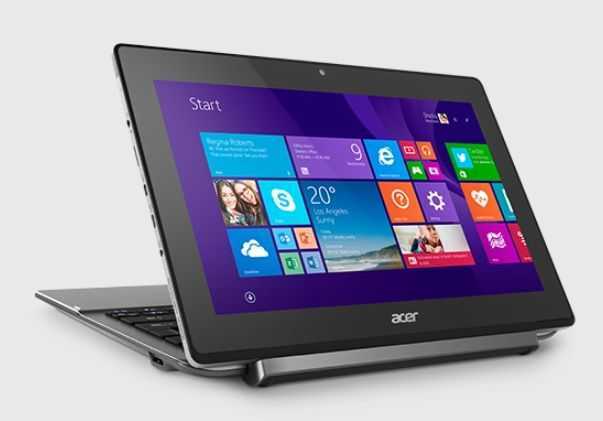 News Comments Off on Acer updates Aspire Switch 10 range for 2015. Competitor to the Microsoft Surface Pro (and 4 other Core-based dockables,) the Samsung ATIV Smart PC Pro / 700T / XE700 hasn’t exactly got the market to itself but given Samsung’s history of making tablets we think they have a good chance of being one of the most popular brands in the category and when Samsung posts details about what’s going inside the SmartPC Pro you get the impression they have some confidence too. Check out some of the key features inside the Samsung ATIV SmartPC Pro below and read-on for information on the first owner-feedback.